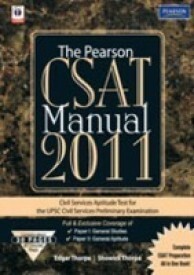 Pearson CSAT Manual 2011 has many newly drawn figures, maps, and interactively structured lists and tables. The world changes at a very rapid pace, and so do facts and figures. Keeping this in mind, we have thoroughly revised and updated the present edition.